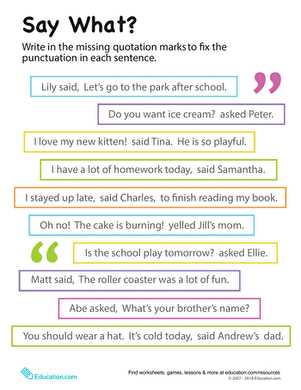 Some verbs change to past tense the regular way: by adding d or ed. 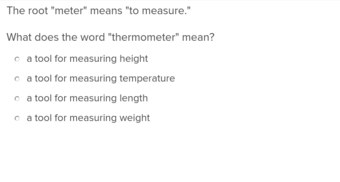 Other verbs are irregular, and don't follow the rules when they change to past tense. 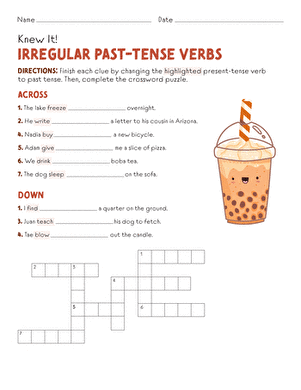 On this worksheet, kids change the highlighted present-tense verbs to irregular past-tense verbs. 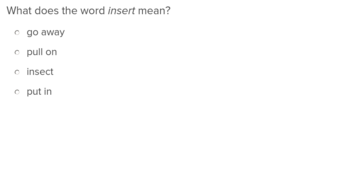 Then they use the irregular past-tense verbs in a crossword puzzle. 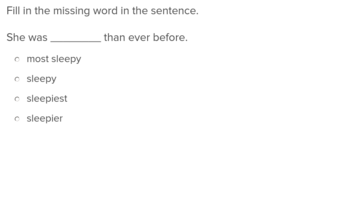 This worksheet offers practise with identifying and using irregular verbs.